Aside from Halloween, what other holiday lets you indulge in copious amount of chocolate? That’s right, Easter. The fun activities that come along with holiday make it oh that special, too. Egg hunts in the park, spoon and egg races, creating baskets, they all have their own charm that we cannot wait for! What better way to start your breakfast than with a space commander? 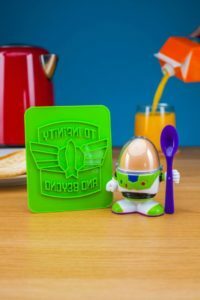 This Buzz Lightyear Egg Cup is sure to jump start your moving above & beyond. Toast cutter and spoon included, trust us when we say your mornings won’t be as fun. Given everyone will then start to make requests for some toast and eggs, but we’re going to agree on the more, the merrier. Sure, Peeps are an Easter staple. They come in different colors, and now even flavors. But cookies will, and have always, reigned supreme. 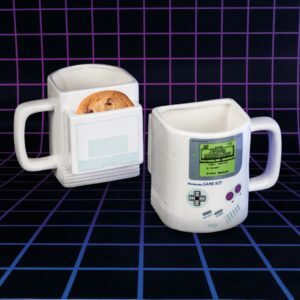 Show it off with this Gameboy Cookie Mug! 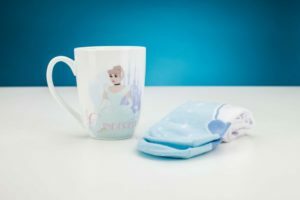 This hip and retro mug is sure to keep your drink warm and can even take it as you lounge around the house. We’re only bummed that only one cookie fits in the sleeve.